Despite an increasing choice of solutions for transmitting video and data securely, many organisations continue to come up against issues such as network access, complexity, poor signal quality and capacity limitations - all of which can increase network operating costs. 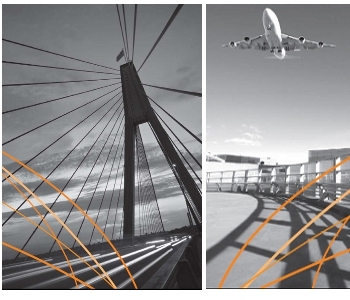 With its simple, cost-effective method for establishing secure connections over a public network, Thrulink is helping organisations such as the police, security providers, transport & port authorities and government departments to overcome their network challenges. ThruLink is a specialised, hardware VPN (Virtual Private Network) device that enables an encrypted, virtual connection, or ‘private tunnel’, to be established between two networked components over any type of WAN (Wide Area Network). ThruLink allows secure, real-time, video, voice and data to be transmitted over public networks such as the internet or 3G/4G. The secure, hardware VPN utilises a number of encryption techniques to enable users to take full advantage of public infrastructure, whilst protecting their data. With a product family that ranges from single input to high capacity units, ThruLink devices are straightforward to install and manage; they can be configured over any type of WAN in a master–slave or mesh topology, and will fit within an existing infrastructure without requiring network changes. Multiple failover capability ensures unit and system redundancy, and management information, via the web-browser-compatible GUI, provides location and status information about every ThruLink device on a network. If a network connection fails, ThruLink will automatically re-establish the transmission path once the connection is restored. 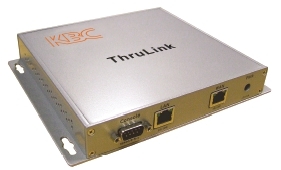 ThruLink devices employ RSA 2048 authentication; AES, Blowfish and Camellia packet encryption (128-256bit) and HMAC-SHA1 to ensure packet integrity. The ThruLink is a hardware VPN device that allows secure communications to be established over any standard, public or private TCP/IP network. ThruLink performs behind firewalls, NAT devices and through nearly any other type of network configuration and offers encrypted communication for all TCP/IP protocols regardless of the type of traffic. When deployed, ThruLink provides a secure and encrypted tunnel for network communications that will not affect TTL, UPnP, VLAN information, broadcast, multicast, or any other traffic.